In this week’s edition of our newsletter you’ll find: Manchester Mystics vs Newcastle Eagles, Junior Final Four 2019, Magic and Mystics Junior Trials, On The Website, Referee Courses, New School Hub at Cheadle Hulme, TruSleeve Exclusive Offer, Shop Online?, Community Sessions, Walking Basketball and National League Fixtures. We hope you enjoy it. Five, yes, five of our Junior teams have made it through to this year’s Junior Final Four held at the Mystics WBBL side’s home of the National Basketball Performance Centre, with Semi-Finals taking place on Saturday 4th May and Finals and 3rd/4th place games on Sunday 5th May. Manchester Magic and Mystics are launching a new training session in Cheadle Hulme for boys and girls at primary school. Led by our experienced and qualified coaching team. Places will be limited, so contact the Magic and Mystics on 0161 881 0090 to pre-register. The first session is on 30th April. For every order made using the promo code the club will receive a donation from TruSleeveShop Online?Shop Online? Fantastic news, we have raised over £1060 via Easyfundraising! Thank you to everyone who signed up and helped us reach this mile-stone, join today and help us reach £1,100! Did you know you can help us raise money when you shop in-store at popular high street retailers?Start raising money today by adding the debit and credit cards you use to purchase in-store. Please Note: there will no sessions on Friday 19th April or Monday 22nd April. 9:15 – 11:00am Primary Girls Year 1 – 6 Practice followed by Games – £4For Saturday morning primary sessions: Groups are not meant to be a rigid division of school Years, just a guideline. Just get there and enjoy yourself! The goal of making his debut on the world stage is something that T38 400m specialist Ross Paterson (coach: John Kinder; club: Red Star) is targeting as his 2019 season on the track hones into view. Paterson made his British debut last summer in Berlin, where he took silver in the men’s T38 400m, before returning to the track a few days later and finishing fourth in the 200m. Stepping out onto the track in a British vest for the first time is a moment that the 20-year-old will not forget in a hurry and is keen to make sure he can be back in a British vest at the World Para Athletics (WPA) Championships in Dubai in November. He said: “When I walked out onto the track in Berlin with my British vest on, it was the best feeling ever and it gave me goosebumps. It was nerve-racking at first because it was my first time on the line representing my country, but then I just thought ‘let’s just treat this like another race’ and I had all my focus on what I was going to do. “I was just there in the moment and I knew that I had my team behind me and I knew I had to go out and run as hard as I could. “That feeling when I crossed the line and seeing that I had a silver medal was like ‘wow’. It really didn’t hit me at first until I was walking away, and that’s when I realised just what I’d done. “Now the target is the World Championships. To be selected for the Worlds would mean everything. That’s what myself and my coach John Kinder are working towards. We’ve got a goal that we want to achieve and we have competitions lined up in order to get there. Prior to competing in Berlin, the 20-year-old won his first international medals at the CP World Games in Barcelona in August, claiming bronze medals in the T38 200m and 400m. The experience of being able to race out in Spain he feels left him in the best possible position heading to the European Championships as it gave him a flavour of what to expect. “My time away in Barcelona was exhausting because I had seven races in three days. Especially with it being my first time away competing, it was interesting. The temperatures were high and it really took it out of my legs, especially given it was just before Berlin. “The standard of competition was really high and to come away with two medals I was really pleased. When I went to Barcelona, it gave me the feel for running in high temperatures and a feel of the calibre of competition I would be going up against in Berlin. “It gave me an indication of who to look out for and what to expect having raced some of them in the weeks before Berlin, but as for the competition itself was really good to be able to come away from the games as a double medallist,” he assessed. 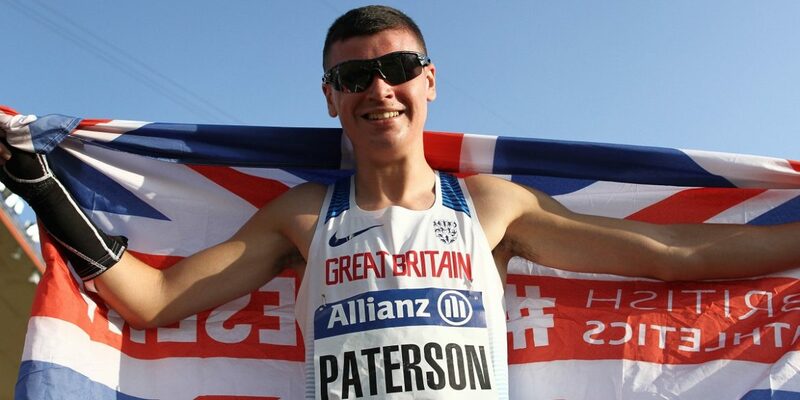 Paterson is part of the British Athletics Paralympic Futures Programme, which is a key part of the Paralympic Performance Pathway and helps to identify athletes with the potential to win medals at future Paralympic Games, and WPA Championships. He is benefitting from the programme by being able to compete on the WPA Grand Prix circuit for the first time this year in Grosseto, Italy. He feels that being able to utilise the programme in such a way that will help to benefit him moving forwards into a major season in his development will give him the perfect platform to raise his game in preparation for Dubai. “It’s a fantastic honour to be on the programme and to have people believing in you and your abilities pushes you even more to want to do well on the international stage. “The programme has given me the chance to race in Grosseto on the WPA Grand Prix and I’m really grateful to have the opportunity to race in such a big fixture in the athletics calendar. “It’s a great honour to be able to head there and to race on the circuit for the first time in my career. A lot of the guys that were on the team in Berlin have been able to race on the circuit and in Grosseto before and it really spurs you on to do exactly the same. “The programme has enabled me to have an effective training plan that fits around my work and my personal life so that I can have a setup where I feel I am best supported throughout the season,” he added. Classified as a T38 athlete, Paterson has right sided hemiplegia, which affects his movement and coordination down the right-hand side of his body. He explained what it is like for him competing as a T38 athlete. He said: “To look at me when I’m walking you wouldn’t notice my hemiplegia too much, although when I’m tired that’s when it becomes more noticeable. When I’m running that’s where you can see the coordination problems and the lack of control on my right side. “It’s difficult when you’re running around a bend, especially because your brain is telling you one thing, but because I have brain damage affecting the right-hand side of my body, sometimes the muscles don’t always do what the brain wants it to do. Alongside his athletics, Paterson relaxes by coaching future football stars at local side St Convals, giving kids the opportunity to participate in sport. He feels a great sense of pride to play his part in helping to develop the team and hopes that it will aid him as he looks towards future coaching opportunities. 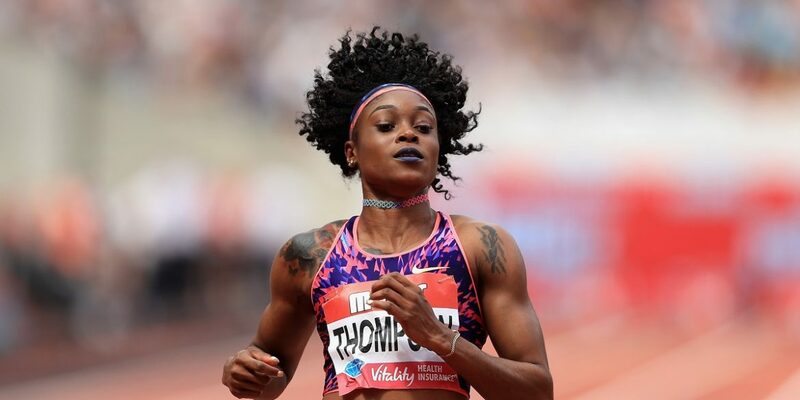 “They [the players] see me as a bit of a role model because of what I’ve achieved and a couple of them have started running at their local athletics club after hearing of my experiences. “It’s in my plans to get my coaching badges for athletics, but I see that as something further down the line as I still have loads to give on the track first,” he asserted. Liverpool legend looks ahead to a potentially historic run-in for Liverpool, insisting that the manager doesn’t need to win something to justify the job he’s done at Anfield. “A lot has been spoken about, over the past few weeks, about Liverpool not playing well. But you know what? From experience, the only thing you do at the end of season in these games is win. The Chelsea win was a Brucey bonus, with the fantastic goal from Mo Salah, and Liverpool playing extremely well. But, even in the games where they’ve not been at their best, Jurgen Klopp won’t have been worried. He won’t be sitting there, analysing missed passes. It really is about just getting over the line. I know managers can sound a bit boring when they say ‘we’re taking it one game at a time’, but it really is all about the next game. They don’t sit in their offices with a calculator saying ‘we’ll beat Cardiff, and City might draw with Tottenham’ and so on. They just chalk the results off. And the players don’t get caught up in it, either. As you know, they live in a bit of a bubble anyway, they won’t be following it on the news or social media. They just turn up, train, play, win, and repeat. That’s it. I can promise you they’re not sitting there doing the maths. Besides, the beauty of the Premier League is that you never know. A bit of an off-key performance and you can get caught out. City have done it on a few occasions this year, which is most unusual, but it tells you everything you need to know about them that they’re in the position they are. It’s cup football now all the way for Liverpool. Even the league games. And you can make a case for them winning every match. 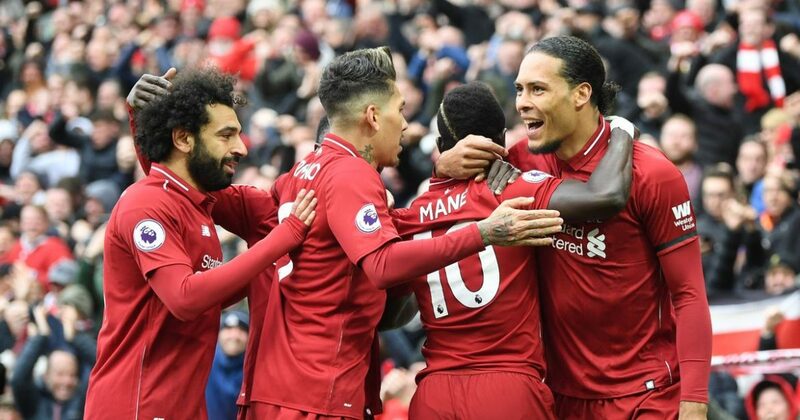 It would be fabulous to win the title, obviously, but Klopp’s remit at the start of the season, from the Fenway Sports Group, was Champions League qualification. They’ve got other sporting franchises, they know how it works, and they’ll know how outstanding Man City are. So finishing second would be tough to take, but it wouldn’t undermine Klopp at all. He’s seriously improved every player at the club, which is a feat in itself. I remember, when he came to Liverpool, saying that a lot of the other teams in the league would be thinking they wished they’d got him. What you see is what you get with Jurgen. He gets the football club, he gets the history. Quite a few of the managers in the past have tried to play the history down, as if it weighed a little too heavy on their shoulders, and didn’t like having the former players around. But Klopp gets it. Every time you go to the training ground, he laughs and says ‘here they are again, the winners’. He always stops for a chat, and picks your brain about the club. He’s embraced it. “This is definitely the strongest Premier League in history. The fact that Liverpool could finish second with the points haul they’ve got. If you’d said, last summer, that a team would get 97 points but not win the league, you’ be carried away to the funny farm in a straitjacket. So it shows the quality of the division. Not just the top two, but the four clubs behind them. Every one of that top six is still in Europe, while fighting for the biggest prizes in the league. This is down to Leicester winning the league when they did. That caused the big six to wake up, to have a rethink in terms of recruitment and so on, and it’s great for the Premier League. As much as that is fantastic, though, don’t we want an English team to win the Champions League and Europa League? Because I do. But the fixtures make it so difficult. Barcelona at the weekend could rest ten players, write that match off. But United couldn’t against West Ham. While other countries have moved their teams’ games to Friday nights to help them prepare. “I think Liverpool will get past Porto. I was at the home game, and Porto looked average, they couldn’t cope with the intensity of a top team. You look at the Liverpool front three, and I think they’ll definitely get an away goal, which would make Porto’s task impossible. Then you have to believe it would be Barcelona in the semis. That would be just wow. Having played in many European nights, they’re always fabulous, but that would be way, way up there, the game at Anfield. Just the fact that it’s Lionel Messi, the greatest player ever born. But also Luis Suarez coming back. That tie would be 50-50, but Klopp has an unbelievable record over two legs with Liverpool. Just to be talking about this kind of achievement, it’s like the good old days again. Winning the league and/or Champions League would be another notch in history, it ratchets the club’s legacy up. Three issues will be distributed in 2019 with the first available at ESI New York on April 23rd at the Tribeca Rooftop NY. Take a look at the full and final agenda here with tickets also available to purchase here; the digital version of the magazine will be available here from April 23rd. Global media house, Esports Insider (ESI) and Latin American gaming specialists Latam Media Group (LMG) are today delighted to announce their new joint venture; The Esports Journal. This industry-focused magazine will be available in digital format and print (at all good esports b2b events near you) and has been created to fill a gap in the market for long-form esports content in a print publication. Whilst www.esportsinsider.com will continue to produce features regularly, from opinion pieces to interviews, this content will be differentiated somewhat on The Esports Journal providing more in depth and insightful looks into the world of esports. Agustin Cikes, Co-Founder and COO at Latam Media Group, said: “At LMG, we are keen supporters of printed magazines; perhaps it ́s as Sam said, I’m being nostalgic because it reminds me of when I read Wired magazine, or simply, the morning newspaper. What I do know is that it’s much more effective to take a magazine home or to the office rather than bookmarking a link. Surbiton are in with a chance of securing a third straight League Finals double with both teams easing their way into the last two. However they face stern opposition in Hampstead & Westminster’s men and Holcombe’s women, with both sides keen to overturn last year’s losses to the south-west London outfit. Men’s semi-final action:Surbiton were first to secure their place in Sunday’s final after defeating East Grinstead 2-1 before Hampstead & Westminster went on to beat Beeston by the same scoreline. Both sides went close early on in the opening encounter but Surbiton were the more dangerous side and penalty corner goals from James Royce and Luke Taylor gifted them a 2-0 lead going into half-time. In a very competitive second-half, Liam Ansell fired one back for East Grinstead with a well worked field goal to close the scores. East Grinstead battled hard in search of an equaliser with time running out but, despite a succession of corners, were unable to find a way through. After a goalless first-half, the final men’s match between Hampstead & Westminster and Beeston finished spectacularly. Rupert Shipperley finished a smart team move to give Hampstead & Westminster the lead before Beeston struck back just one minute later through Joe Sharp. However, the game was settled by a moment of magic from Will Calnan who hammered home with a wonderful strike inside the last ten minutes to send Hampstead & Westminster into Sunday’s final. Investec Women’s semi-final action:Holcombe secured their place in a third consecutive final with a crushing 6-0 victory over Buckingham whilst Surbiton kept their chances of a sixth straight title alive by defeating East Grinstead 4-1. Holcombe’s comfortable win began when Candice Manuel slotted home from a penalty corner inside the first-half. A minute after Rose Thomas made a crucial save, Dirkie Chamberlain scored with a sublime finish before Sofia Viarengo and Philippa Lewis joined the act for a four goal lead as Holcombe plundered three goals in two minutes. The goals kept of coming as Leah Wilkinson and Heather McEwan both found the target on their way to the final. 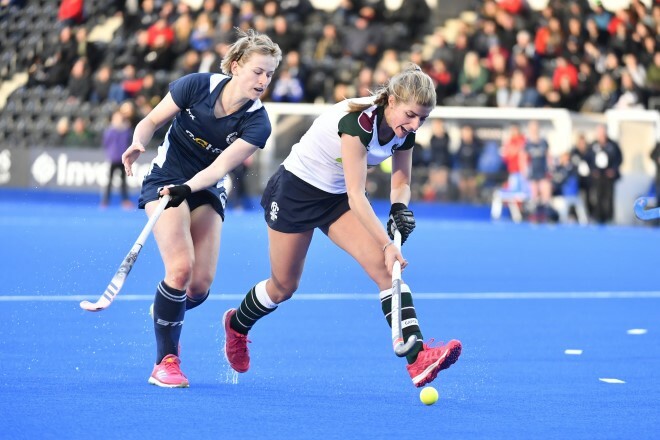 Izzy Petter and Erica Sanders both hit sublime reverse stick goals as Surbiton took an early lead over East Grinstead in the final game of the day. Sophie Bray pulled one back immediately after the restart to get East Grinstead back in the game and they were nearly level but Ellie Rayer fired her shot narrowly wide. The University of Exeter got Saturday’s Men’s Play-Off Round Two action underway with a 4-2 victory over Havant while Old Georgians beat Bowdon 6-3. Meanwhile Slough toppled Stourport 5-1 whilst Hampstead & Westminster beat the University of Loughborough 1-0 in the Investec Women’s Play-Offs. Men’s Play-Offs action:The University of Exeter led 2-0 at half-time thanks to goals from Dan Jackson and James Thomas before James Carson added to the total from a penalty corner and Thomas secured his brace shortly after the restart to go four goals ahead. Havant scored two goals in quick succession late on through Michael Deller-Merricks and Atiq Arshad but it would prove to only be a consolation. Old Georgians then clinically defeated Bowdon 6-3 with Sam Ward hitting a first-half brace alongside Nick Burns and Matthew Ming for a 4-1 half-time lead. Bowdon’s Ben White twice found the net to put his side within touching distance but hopes of a comeback were ended as Ward secured his hattrick before Nick Cooper added another immediately after. Going into Sunday’s all-important final round of matches, Old Georgians lead the way on six points with both the University of Exeter and Havant sat on three, whilst Bowdon are the only yet to pick up a point. Investec Women’s Play-Offs action:Slough began Saturday’s Investec Women’s Play-Off Round Two action with a 5-1 victory over Stourport whilst Hampstead & Westminster overcame the University of Loughborough 1-0 in a tough match. After going into the half-time break one goal to the good up thanks to Lucy Wood, Slough emphatically earned their second win of the Investec Women’s Play-Offs. Bethan Merriman had brought Stourport level just two minutes after the break but Slough quickly responded with three goals inside five minutes from Dilly Newton, Imogen Brown and Lizzie Totten. Emma O’Nien capped off the scoring with a late goal for Slough’s fifth. St Austell six-a-side football team, Revo, won a national competition with Alfasilver, a spray that treats minor injuries, to train and play with England’s Six-A-Side Socca Team. Non-league side Revo, who support the charity Meningitis Research, entered the competition on Facebook in December 2018 and beat 207 other teams to claim the title. The Revo team, made up of 12 players and captained by David Waters, travelled to Birmingham University’s football ground in Edgbaston this week. Here they met and trained with the England Socca side under the watchful eye of legendary new manager, ex-Manchester United and Aston Villa boss, Ron Atkinson. 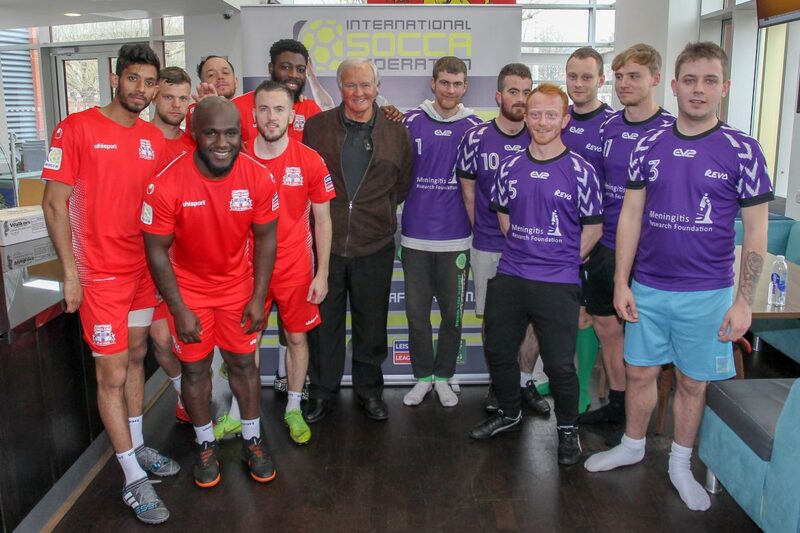 The England Six-A-Side football team is part of The International Soccer Federation, which operates international small-sided football competitions for both national and club teams in the formats of 5,6, 7 and 8-a-side football. Captain David Waters, 24, says, “We are absolutely thrilled to be able to play with England’s national Socca team and would like to thank everyone who liked our Facebook post that ultimately led to our win. “Players Mike, Matt, Dan Nathan and I are all Manchester United fans so we were even more excited to learn Big Ron is the England Socca Team’s new manager and couldn’t wait to meet him. Revo has never had a manager but maybe we can pick up some tips from him and the England coach on how to improve our positioning at 6 a side. “When we bought our new football strip last year, dark purple shirts with white arrows, we decided to add the Meningitis Research logo. I had meningitis as a child and the amazing NHS team at Treliske hospital, along with the incredible work the charity do, helped save my life and we hope to raise awareness and ultimately money for Meningitis Research.” Alfasilver is available to purchase in-store at Tesco, Lloyds Pharmacy, Weldrick’s, FirstAid4Sport and Boots online. The 52-year old Tuscan is the last Italian to have won Paris-Roubaix (in 1999) and in November 2018 announced his ambitious target to find a pro team and make it to the start line of the Hell of the North, before a collarbone fracture in the early part of 2019 ended his dream of coming back to ride the famous race. Today, he talks about his project – born from riding the cobbles of the Appian Way (Appia Antica) at Granfondo Campagnolo Roma – his life as an ex-pro and his countryman and fellow Tuscan Alberto Bettiol, who won the Tour of Flanders last weekend. On Sunday Alberto Bettiol, a fellow Tuscan, won the Tour of Flanders. Do you know him well? Yes, I know him – we’ve also trained together. We’re part of a group chat on WhatsApp with other pros from our area; we use it to talk to each other and organize rides together, especially in winter. I followed him when he was a junior, and saw last year that he had a bit of bad luck [two broken collarbones in a season spent at the former BMC Racing team], but now he is showing how much he is really worth. On Sunday he managed to seize the moment with a great action. I like to think that we have something in common. In 2002 my last pro win was at the Tour of Flanders, while for him it was his first as a pro rider. But the coincidences don’t end there: Alberto won with the number 77, which was my number when I won in 2002, and my father was born in Castelfiorentino, just like Alberto. Did you really hope to return to Paris-Roubaix? Yes, it was a dream driven by my continued love for cycling and the desire to celebrate the 20th anniversary of my victory in 1999. Unfortunately, the injury with the broken collarbone clearly has had to mean me stopping, but I’ve no regrets about it. I really trained hard and was ready to race. The idea came by talking to a friend who saw me still cycling and well-trained. He said to me ‘why not try to return to Paris Roubaix 20 years after my success of 1999?’ Honestly, before the injury I felt really good. 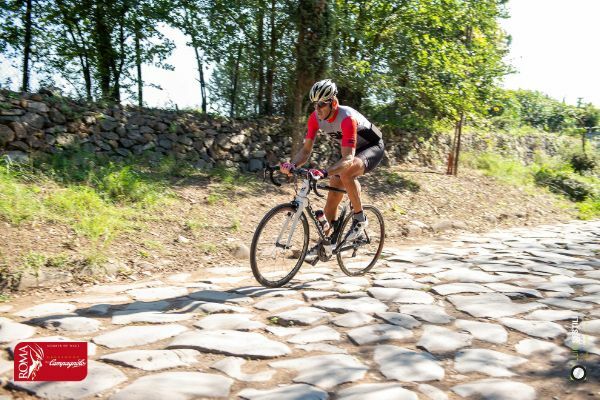 When I rode on the cobbles of the Appia Antica – part of the Granfondo Campagnolo Roma route – I got excited about my chances and that made me think of a return to the cobbles of Paris-Roubaix. Why did you want to ride Paris-Roubaix at 52? I wanted to race for one more day – just one – and celebrate everything I love about this sport. I also wanted to prove that people over 40 can ride and race competitively, even on the cobbles. What would you have wanted to show? Of course I did not want to come back and win – I am 52 years old and there are so many strong young riders, thankfully, like Bettiol! I would have liked to have returned to understand how much cycling has changed in 20 years and tell it to the people who love this sport and document the heroic romanticism angle of cycling. It’s the same angle that brings back so many passionate people to the Granfondo Campagnolo Roma’s historic cycling ride L’Imperiale. It’s a kind of revival of the history of cycling. 1999-2019, cycling has changed a lot in twenty years. The Roubaix route has remained the same but materials and technologies have changed. Yes, materials and technologies certainly, but also the preparation methods with totally new techniques and training to get riders to 100% condition are hugely different. The attitudes have changed a lot too – just think, in 1999 the helmet wasn’t mandatory. As a young rider I initially didn’t see the need for one but now I don’t even get on my bike without it. You are still very active, riding Italian sportives like the Granfondo Campagnolo Roma. What makes this event so special to you? The Granfondo Campagnolo Roma has a special charm – a romanticism that I mentioned before. It’s unique in offering the opportunity to ride in Rome, past all the Roman Castles, on roads completely closed to traffic. The Appia Antica (Appian Way) and its sampietrini (cobbles) are the same ones that I raced in the Giro del Lazio during my career – that was a race that I won three times with so many great memories! Each time I ride them I’m filled with so many emotions, and I’ll be back to experience the ride once more in 2019. I look forward to seeing thousands of riders joining me in Rome on 13 October for what will be a great cycling weekend. The world’s oldest and most renowned annual rugby sevens tournament – The Aberdeen Standard Investments Melrose Sevens – returns to Melrose for the 136th time on Saturday 13 April 2019. The very first Rugby Sevens competition was played in Melrose back in 1883 and was founded by butcher’s apprentice, Ned Haig. The Aberdeen Standard Investments Melrose Sevens is recognised globally and attracts over 12,000 spectators every year. Clubs from across Scotland will be competing against each other this year, alongside international teams from England, South Africa and USA, for their chance to win the Aberdeen Standard Investments Melrose Sevens Ladies Cup. 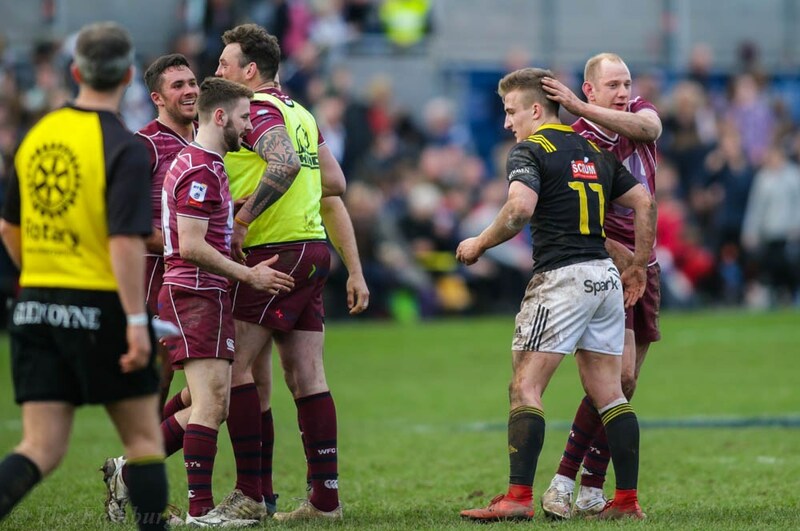 With an action-packed day on the pitch, The Aberdeen Standard Investments Melrose Sevens has become a major social event for both rugby fans and families. Tickets for this family event, which are available from the website www.melrose7s.com, cost between £20 and £50 for adults, £10 for children under 15 and from £15 for senior citizens. A family ground ticket for a family of two adults and 2 under 16s costs £50. 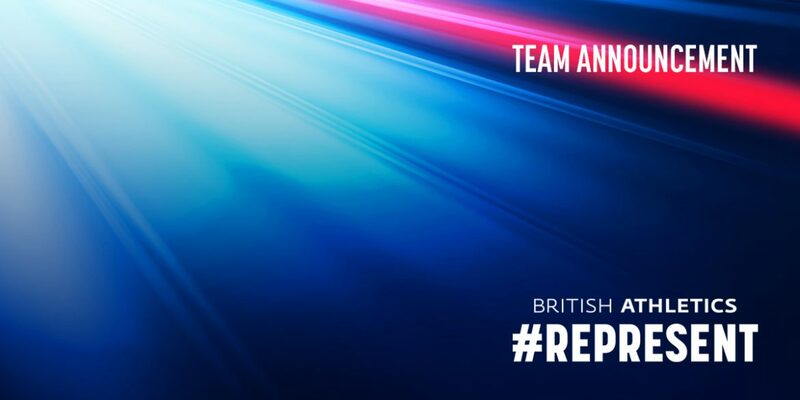 British Athletics has today announced eight athletes, including a full men’s team for the second successive edition, to compete at the European Race Walking Cup in Alytus, Lithuania on Sunday 19 May. Callum Wilkinson (club: Enfield & Haringey; Andi Drake) earns selection a matter of days after moving to second on the all-time UK list for the 20km with a World Championship qualifying standard, new personal best and British under-23 record of 81:34 on the way to sixth in Podebrady at the weekend. Wilkinson’s performance in the Czech Republic followed two weeks on from Cameron Corbishley (Medway & Maidstone; Drake) and Dominic King (Colchester; George Nibre) both hitting the World Championship qualifying standard for the 50km race walk in Slovakia. Corbishley moved into second on the all-time UK rankings and set a British under-23 record of 3:53:20 on his first outing over 50km and both Corbishley and King will race over the shorter 20km in Alytus. Completing the full squad of four to contest the 20km is British record holder Tom Bosworth (Tonbridge; Drake). Bosworth was the first British athlete to clock a World Championships qualifying standard, doing so at the European Championships in Berlin last year, and has fond memories of the European Race Walking Cup having achieved the best ever individual finish by a Brit at the last edition in 2017 when he placed fourth. All four of the men selected raced in the 2017event, achieving another best ever performance as they placed fourth in the team standings. For the women, Bethan Davies (Cardiff; Drake) and Heather Lewis (Pembrokeshire; Martin Bell) are also returning from the British team of two years ago to compete in the women’s 20km. Lewis earned selection, like Wilkinson, having also lowered her personal best in the Czech Republic at the weekend, posting 95:04. Erika Kelly (Northern; Steve Partington) completes the trio and will make her senior international British debut in Alytus just over a year on from competing with Davies and Lewis at the Commonwealth Games on the Gold Coast. Kelly is the second athlete from the Isle of Man to earn selection for a British team this year after Joe Reid (Cardiff; Matt Elias) made his senior international British debut at the European Indoor Championships in Glasgow in March. Christopher Snook (Aldershot Farnham & District; Verity Snook) is the sole junior selected and is in good form as he returns to the European Race Walking Cup having also competed in 2017, setting a new personal best to finish second in the age-group 10km in Podebrady on Saturday.